PG was so sad to see video of this lovely building burning last night. Construction on the cathedral was begun over 800 years ago on the site of even more ancient churches. Notre Dame survived the French Revolution and two World Wars. PG was heartened read this morning that over $300 million in private funds have already been pledged towards rebuilding and restoration. A surprising (to me) amount of the cathedral is not original or had been significantly restored before. 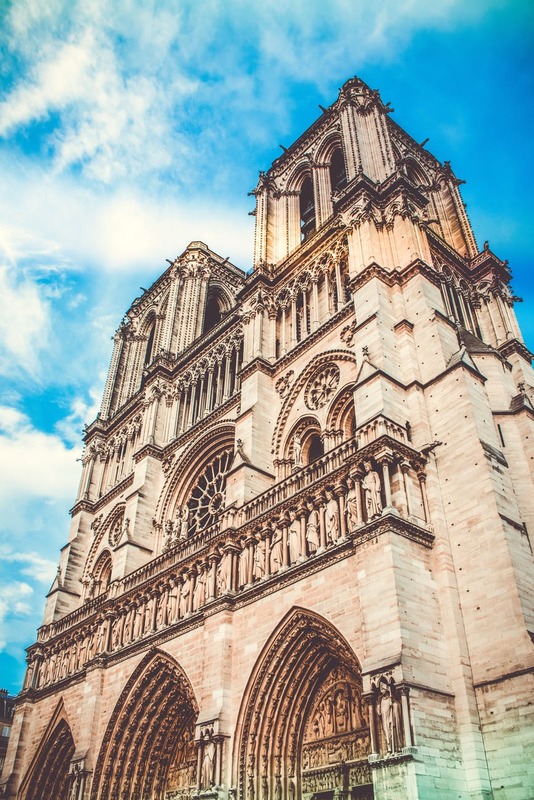 This includes bells (some were melted for cannon balls during the French Revolution) and the rose windows: some replaced hundreds of years ago, or rebuilt (again, after the French Revolution). Even the dramatic spire which collapsed was a 19th c. enhancement. Thanks for posting this – the sight of it made me cry last night and I’ve been keeping up with developments all day. It’s heartening to see how much has survived because at one point it looked as though everything might be lost. Brave firemen. What did the Cathedral de la Notre Dame de Paris know about Hillary Clinton? Massive donations to repair the damage look to fund all of the costs, and more. The weekly populist rioters are now using the donations as an excuse. Populist statism on the march all over.